Making a camping reservation at a California State Park sounds ridiculously simple, and it should be. But the sad truth is that it's ridiculously complicated instead. And you have to plan farther ahead for next year's camping trip than you would for an African safari. This article will help you know what to do - and when - to snag the camping spot you want. Here's the most frustrating part. Popular destinations often sell out within a minute after their reservation window opens. If you're looking for an in-demand place like Crystal Cove Cottages in Orange County, you might need an atomic clock to be sure you know the exact correct time. And the reflexes of a fighter jet pilot to click the Reserve button on the stroke of 8:00 a.m.
You may be able to find an open spot in a California KOA on short notice. You might even drive into a National Forest campground on Friday afternoon and find a place to put your tent. That's not true for many California state parks. In fact, most campsites must be reserved as much as six months in advance, especially during the busy summer camping season. This is the tricky part. For those in-demand spots, reservations open six months ahead of time, at exactly 8:00 a.m. Pacific Time. For example, on August 3, you can reserve campsites for dates beginning on February 3 and lasting as many consecutive days as the park allows. That is unless it's a short month. In that case, multiple dates become available on the first of the following month. On February 28, you can reserve through August 28, and August 29-31 become available on March 1. The state parks reservation website brags about changes to a "rolling" reservation window that replaced the old system of releasing an entire month at a time, but in reality, it makes little difference. You still have to reserve six months ahead, set your alarm and mark your calendar to make them on the date you want. Camping reservations go so fast that you won't have time to think and debate on the day the reservation window opens. 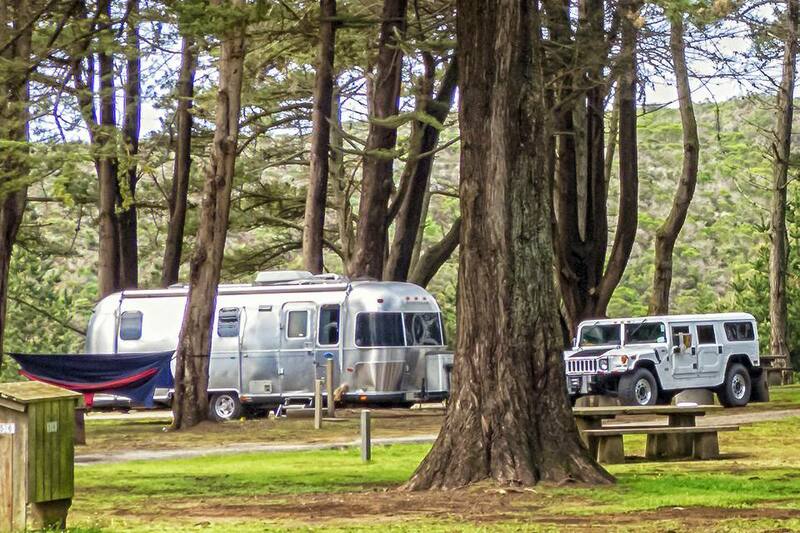 Every campsite can disappear within moments while you try to decide which of two side by side spots is better. Pick a park you want to camp in and at least one alternate. You also need to be very prepared with your ideal dates and at least one alternative. Get the URL for the park you want to reserve. To do that, go to Reserve California and enter the park's name. Get familiar with the reservation system while you're there. Pick a few campsites that you are most interested in and have them ready. For this, too, it may be helpful to have alternate sites in mind. Sign up for an account with Reserve California. You need to have an account and be logged in before the clock strikes eight. Be ready a little before 8:00 a.m., exactly six months before the first day of your planned stay. Have a credit card handy if you didn't add it to your account. You'll need it to pay for the camping fees and the Reserve California processing fee. Know what campground you want to stay in, your desired site(s) and an alternate campground in case you need it. To reserve by telephone, call 800-444-7275. International callers can call 833-448-7287. However, the call center is only open from 8 a.m. to 6 p.m. Pacific Time and closed on New Year’s Day, Thanksgiving Day, and Christmas Day. You can also reserve online through Reserve California 24 hours a day, seven days a week. If your first try is unsuccessful, try again several times before you plan to make your trip. Cancellations happen all the time. You might be lucky enough to pick something up, but that requires a lot of persistence and a lot of searching. To save time, try using the website Campnab. For a small fee, they will scan the system for up to four months, checking for openings and notifying you if openings appear. They scan every five minutes to an hour, depending on how much you pay for the service. You can also head for one of the campgrounds that have a first come, first served policy. However, these are usually primitive campgrounds with pit toilets or hike-in spots. Hearst Castle tour reservations are available 120 days in advance. Call 800-444-4445 or 916-414-8400 ext. 410. You can also ​reserve Hearst Castle Tours online at Reserve California. Elephant Seal Viewing at Ano Nuevo requires a guide during the breeding season (December through March). Ticket sales usually start in October, and you can reserve your tour by calling 800-444-4445 or 916-638-5883, or online. Crystal Cove Beach Cottages in Orange County follow the same procedures described above.